Continue on to see the trailer and click here to read the lengthy developer blog. Introducing the new and improved MyTEAM mode inside NBA 2K19. From 3-on-3 to the all-new triple threat and triple threat online, find new ways to compete in your favorite fantasy card collecting game. •	MyTEAM UNLIMITED – MyTEAM Unlimited is an all-new competitive online mode that lets you bring your best lineup of 13 players to take on rivals across the globe! 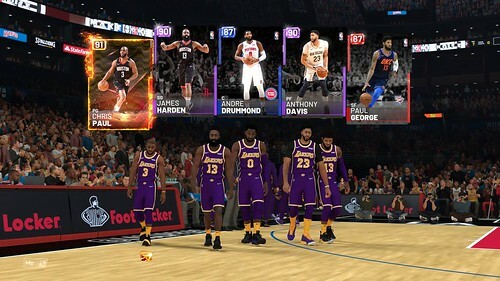 •	TRIPLE THREAT - MyTEAM's single player experience where you play 3-on-3 against all 30 NBA teams, one division at a time. 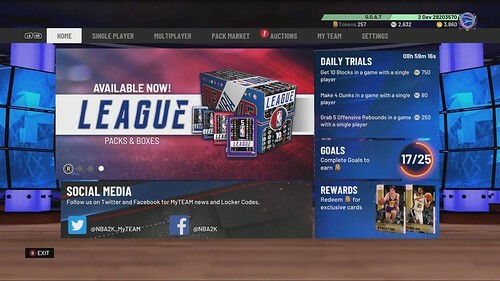 •	DAILY TRIALS - An all-new mode in MyTEAM where you earn MyTEAM Points for completing special objectives daily as you play NBA2K19. •	HEAT CHECK CARDS - These are special cards that provide a stat bonus for 48-hours whenever an associated NBA player performs a great game in real life.